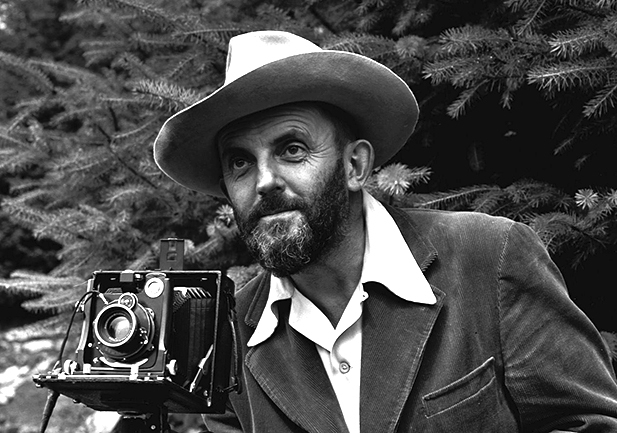 This week the class will focus on the work of Ansel Adams. Adams’ professional breakthrough followed the publication of his first portfolio,Parmelian Prints of the High Sierras, which included his famous image “Monolith, the Face of Half Dome.” The portfolio was a success, leading to a number of commercial assignments. Back in WordPress Theme Template & Directory Structure, we createdcontent-aside.php, a Post-Format-specific template just for Aside posts. Open it now, and paste the following. Using Asides as an example, in the past, a category called Asides was created, and posts were assigned that category, and then displayed differently based on styling rules frompost_class() or from in_category(‘asides’). 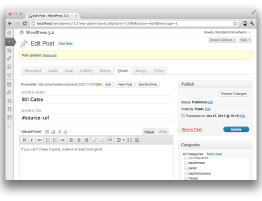 With Post Formats, the new approach allows a theme to add support for a Post Format (e.g. add_theme_support(‘post-formats’, array(‘aside’))), and then the post format can be selected in the Publish meta box when saving the post. A function call of get_post_format($post->ID) can be used to determine the format, and post_class() will also create the “format-asides” class, for pure-css styling.